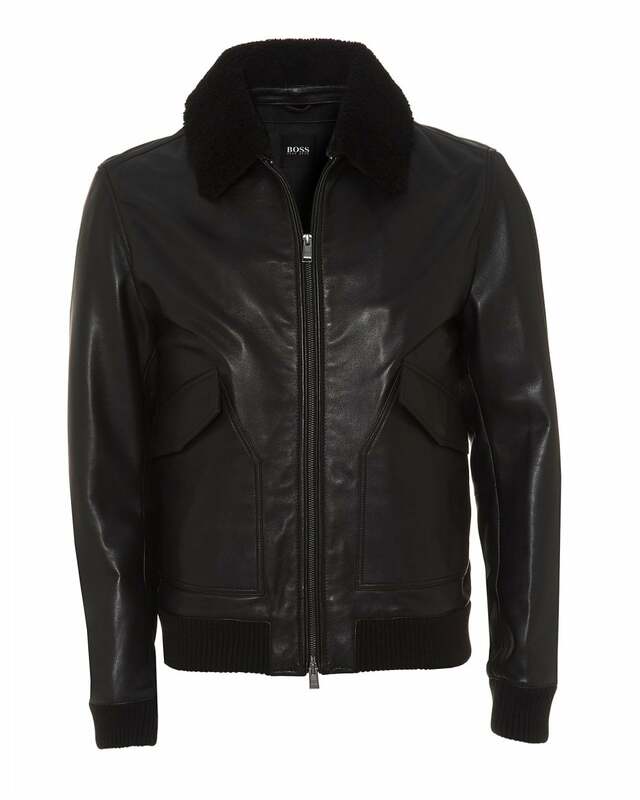 This premium leather bomber jacket by BOSS accentuates a modern twist to smart, office tailoring. Crafted from soft sheepskin leather, this jacket has two side pockets, zipped fastening and a detachable shearling fur collar. Adding style and warmth to your every day work wear.